SAFFAscapes: PhotoShare: Guess the location?? Where do you think this was taken? 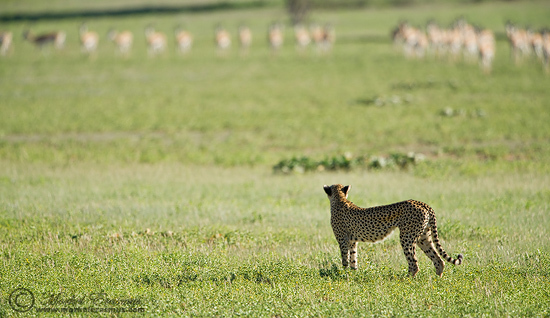 A cheetah surveying its quarry who are very aware of him. Yet this photo was taken in the Auob riverbed of the Kgalagadi Transfrontier Park in the Kalahari desert region of Southern Africa. The greenery is the result of some good rains over the summer months. Enjoy the coming Easter weekend!